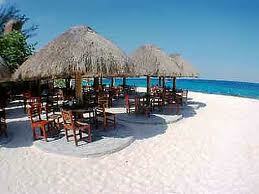 Famous for its deep history and beautiful beaches, Mexico is one of the most traveled places in the world. 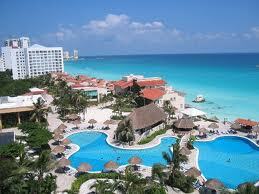 Known formally as the United Mexican States, Mexico is the 5th biggest country in the America. Mexico contains a variety of tourist attractions, such as archaeology sites, ancient cities, pyramids, national parks, and museums. Mexico is a country of immense contrasts from ancient Mayan palaces to its vast coastline, dense tropical jungles, soaring mountains and vibrant cities. Mexico has a long and fascinating history dating back almost 3000 years to ancient civilisations including the Mayans and Aztecs before it was destroyed by a small group of Spanish Conquistadors in the 16th Century. Mexico’s varied landscape including dazzling beaches, expansive deserts and snow capped extinct volcanoes as well as its historical heritage make it a fascination country to visit and discover. Mexico's main airport can be found in Mexico City. If you prefer to travel on direct flights from the UK to Mexico, British Airways operates regular scheduled flights. Mexico’s capital Mexico City is the highest city in North American and a gateway to Mexico for many visitors. Boasting a great variety of cultural attractions including several world-class museums, it is also home to the mysterious pyramids of Teotihuacan and the remains of what is believed to be Mexico’s largest ancient city. Mexico is blessed with a coastline of over 10,000 kilometres and has many superb beach resorts including the well-known resorts of Cancun and Playa del Carmen, the upmarket resort of Puerto Vallarta, Puerto Escondido popular for surfing and its marine life and the Baja California peninsula with its swanky beach resorts. Head into the jungle to explore some of the best Mayan temples in Palenque, sample local delicacies in colourful Guadalajara and hike through the canyons at Baja and admire the incredible views along the Pacific coast. Directflights.com are experts at searching for the best value low cost flights to Mexico. One of the fastest growing travel comparison sites, we compare prices with more than 500 airlines and travel partners to find you the top deals on cheap flights. Whether you're after the cheapest flights or need to travel imminently on lastminute flights, we will find you the most competitive flight prices available. The Tropic of Cancer effectively divides the country into temperate and tropical zones. Land north of the twenty-fourth parallel experiences cooler temperatures during the winter months. South of the twenty-fourth parallel, temperatures are fairly constant year round and vary solely as a function of elevation. This gives Mexico one of the world's most diverse weather systems. Areas south of the twenty-fourth parallel with elevations up to 1,000 m (3,281 ft), have a yearly median temperature between 24 to 28 °C (75.2 to 82.4 °F). Temperatures here remain high throughout the year, with only a 5 °C (9 °F) difference between winter and summer median temperatures. Both Mexican coasts, except for the south coast of the Bay of Campeche and northern Baja, are also vulnerable to serious hurricanes during the summer and fall. Although low-lying areas north of the twentieth-fourth parallel are hot and humid during the summer, they generally have lower yearly temperature averages (from 20 to 24 °C or 68 to 75.2 °F) because of more moderate conditions during the winter. Many large cities in Mexico are located in the Valley of Mexico or in adjacent valleys with altitudes generally above 2,000 m (6,562 ft). This gives them a year-round temperate climate with yearly temperature averages (from 16 to 18 °C or 60.8 to 64.4 °F) and cool nighttime temperatures throughout the year.